Shamanismis one of the earliest and farthest-reaching magical and religious traditions, vestiges of which still underlie the major religious faiths of the modern world. The function of the shaman is to show his or her people the unseen powers behind the mere appearances of nature, as experienced through intuition, in trance states, or during ecstatic mystical visions. Shamans possess healing powers, communicate with the dead and the world beyond, and influence the weather and movements of hunting animals. The psychological exaltation of shamanism trance states is similar to the ecstasies of Yogis, Christian mystics and dervishes. 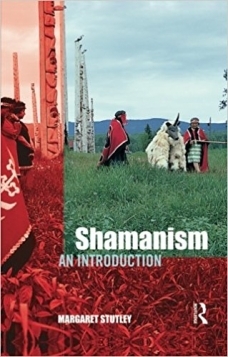 Shamanism: An Introduction traces the development of shamanism in its many fascinating global manifestations. 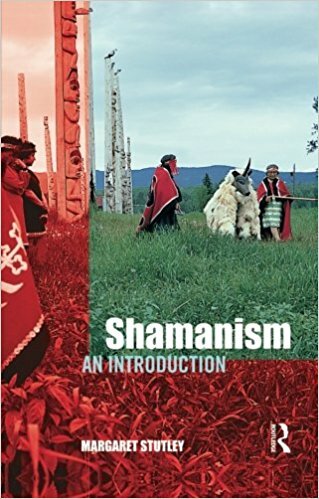 Looking at shamanic practices from Siberia to China and beyond, it provides an accessible guide to one of the world's most ancient, notorious and frequently misrepresented spiritual traditions. Placing special emphasis on the climate, geographic and cultural pressures under which shanic customs arose and continue to be observed, Margaret Stutley summarizes and clearly explains the logic of a faith whose fantastical elements hold a special place in popular imagination.